Please remain paranoid, the future depends on it. The latest multifaceted release from the UK’s freshest breakcore producer is now upon us. 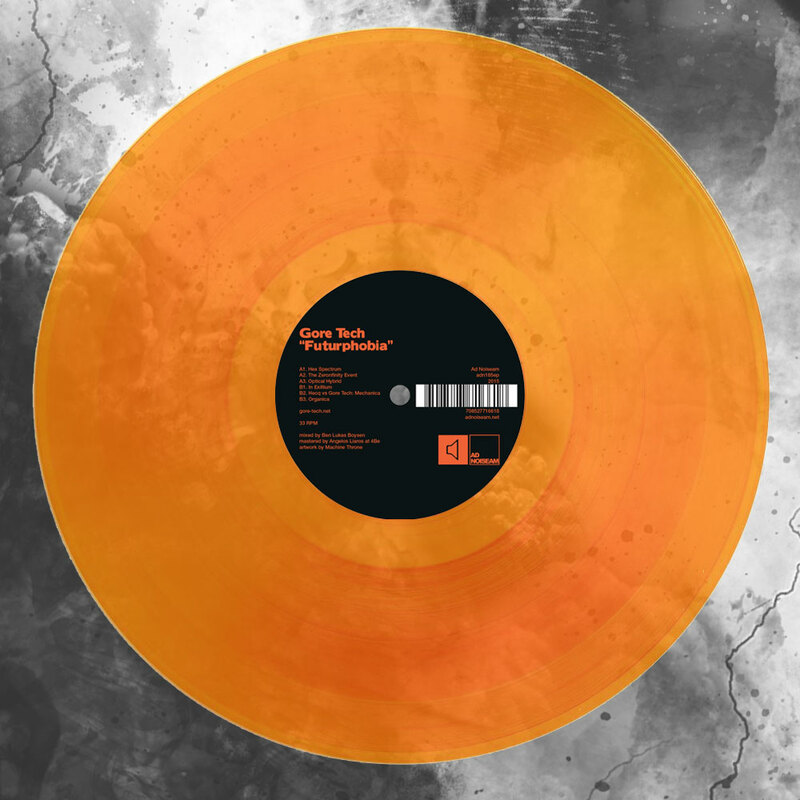 Maintaining his relationship with the legendary Ad Noiseam imprint, Gore Tech’s darker, more atmospheric and generally creepier sounding album seems more at home at Ad Noiseam than ever. There is a much more sinister edge to Futurphobia than his previous work and draws upon many more influences. This is more than just a breakcore album. This is sonic glimpse into a not so pretty future. “Skies are dark and sounds even darker on Gore Tech’s follow-up to his 2013’s “Machine Throne”. The highly dystopian “Futurphobia” is the definitive coming-of-age record for this young artist, who has gained a lot of experience though incessant touring and track-writing in the recent years. Combining the heavy and infectious breakcore bangers he is known for with slower, very daring pieces, “Futurphobia” is an important step forward for Gore Tech, who sharpens, deepens and widens his talent, becoming an essential figure of the breakcore scene. When describing his 2013 debut for Ad Noiseam, we spoke of Gore Tech as one of the fresh hopes of breakcore, then slowly recovering of a long drought. Two years later, nobody in this scene can ignore his name anymore. His first Ad Noiseam EP followed two for Peace Off and preceded others for Japan’s Murder Channel and Holland’s PRSPCT. He has played at Burn The Machine, Machinenfest, Bangface and many other prestigious venues, consolidating his standing as one of the current driving figures of the chaotic, rebellious and ever-changing gathering of freaks which calls itself breakcore. 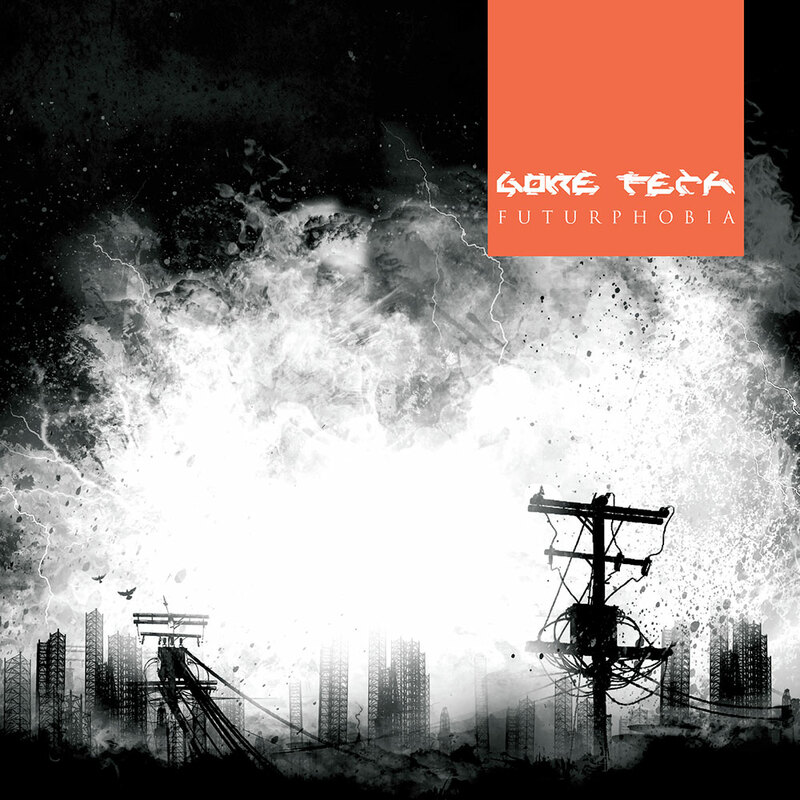 “Futurphobia” is Gore Tech’s most ambitious release to date. Confronting his new material to varied audiences, he has refined and extended his sound. If “Optical Hybrid” is one of these post amen-breaks infectious tunes which we have grown to expect from him, “The Zerofinity Event” and “Hex Spectrum” are leaps forward, infusing breakcore with a careful and detailed production learned from his forefathers. Collaborations are also on the menu, with “Mechanica”, co-written with Hecq’s Ben Lukas Boysen (also of mixing duties for the whole release) and “Stems”, based upon sounds by Machinecode. Finally, “Organica” and “In Exilium” give the key to understanding Gore Tech’s offering to breakcore: he keeps the genre’s aggression and drive, but distills them in compact, heavy tunes which will pack the mosh-pit. Buy the album direct from Ad Noiseam HERE.